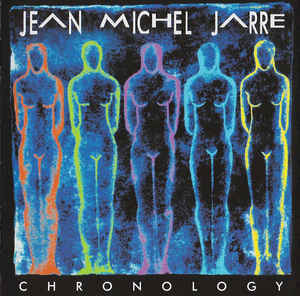 Chronologie (English: “chronology” – some later reissues use the English spelling) is the eleventh studio album by French electronic musician and composer Jean-Michel Jarre, and was released on Disques Dreyfus (with license to Polydor) in 1993. It is inspired by Stephen Hawking’s book A Brief History of Time. “Chronologie Part 4” and “Chronologie Part 5” started out as a composition for the Swiss watch company Swatch. The sound of Chronologie was based on a new wave of electronic dance music that had been developing since the late 1980s. Like Jarre’s previous album Waiting for Cousteau, Chronologie charted at Number 11 in the UK charts. The album cover art was created by long-time collaborator Michel Granger.